Beauty In The Mirror: Carmex Launches 75th Birthday Facebook App! Carmex Launches 75th Birthday Facebook App! Carmex are famous for their amazing lip care products, they've been around a long time and know what they are talking about! A new Facebook App has just launched to celebrate the iconic brands 75 years milestone ,with amazing prizes to be won till the end of the year. 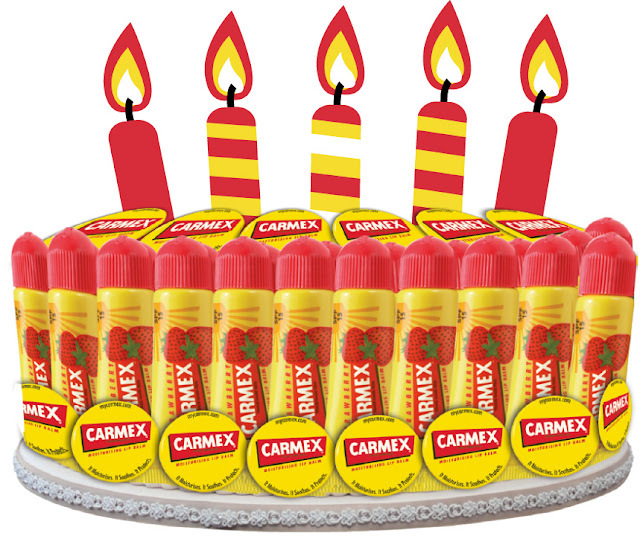 So make sure you pop over and join in the fun, the main prize up for grabs is the Carmex Birthday Cake! Take a peak below to see what you could win! You can LIKE the page and join in the fun here.